Welcome new clients! 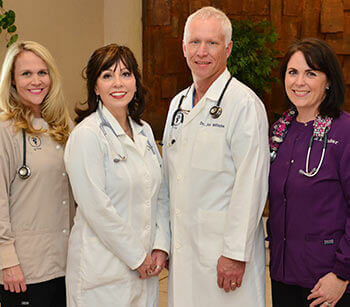 We would love to become your other family doctor. 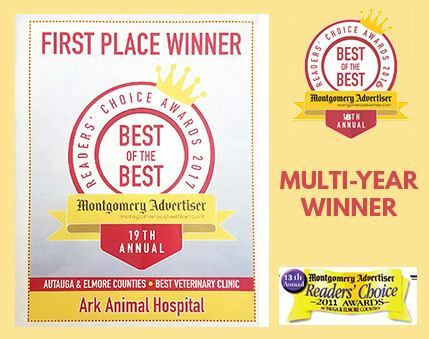 Client satisfaction is a top priority at Ark Animal Hospital. 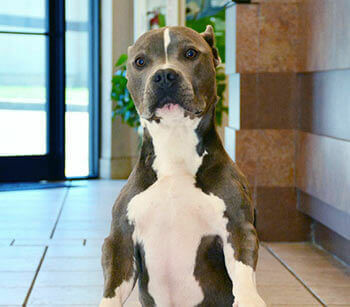 At Ark Animal Hospital, our first priority is providing the best possible care for you and your pet. We offer convenient, walk-in veterinary care plus surgical appointments so that your pet gets the best veterinary care when they need it and when it is convenient for you. 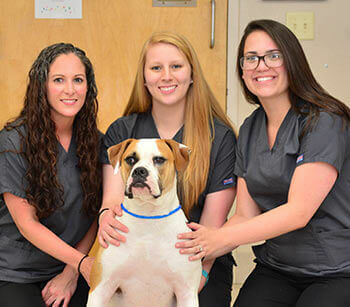 From wellness care, general veterinary care, vaccines, flea/tick control, dental care and surgical care, Ark Animal Hospital is the veterinary team that will keep your pet healthy throughout his or her lifetime. Our full range of diagnostic testing is offered on site, allowing for quicker diagnosis and more rapid treatment for your pet. All of our veterinary care is offered at the best possible prices. Please bring your pet in today for a wellness exam--we would love to see both you and your pet! PLEASE NOTE: The doors will always be open 1/2 hour before the Veterinarians begin seeing patients. This allows us time to sign everyone in and make sure everything is in order for your visit. A basic Canine 5-in-1 vaccine which includes protection against Distemper, Hepatitis, Leptospirosis, Parvovirus, and Parainfluenza. FVRCP: Protects against Calcivirus, Feline Viral Rhinotracheitis, and Feline Distemper.